Last May the 36th edition of the annual SportsExpo took place in Shanghai. Together with SMG and AFN we took a stand and once again launched a new model; the Light weight 2A kit. It is divided onto 4 cases, which again can be stored in your luggage. The cases do not exceed 32kg and therefor meet the IATA standards. 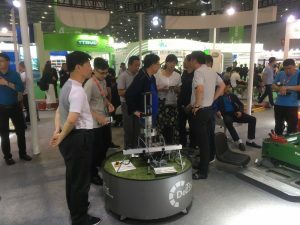 The presence of Deltec at the Shanghai Fair allowed us to meet with our established business relations but also create new ones. It has been a very successful attending for Deltec.